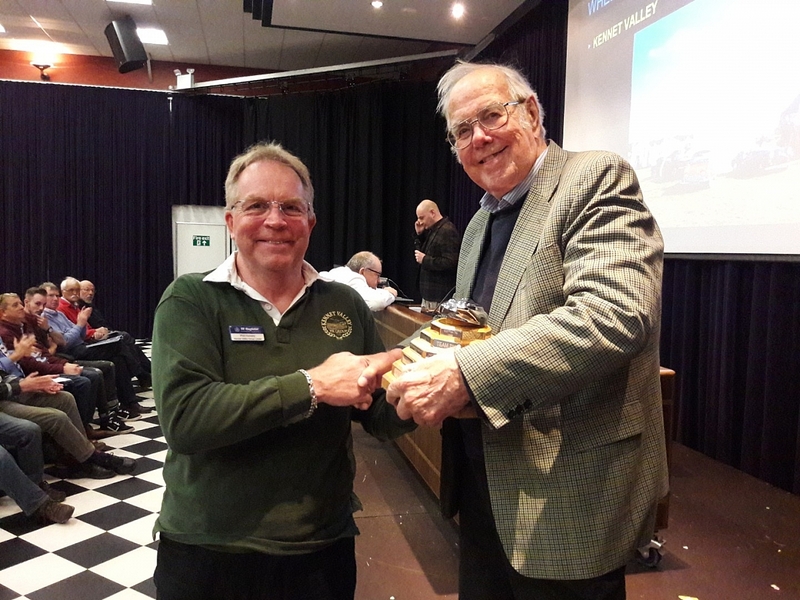 The Annual General Meeting for the TR Register took place on Sunday 25th November 2018 at the Aviator Hotel, Sywell Aerodrome near Wellingborough in Northamptonshire. The full minutes of the meeting will be published online in the New Year following the first board meeting of the new management team in January. The minutes will be approved by the membership at the 2019 Annual General Meeting. The following therefore, is intended as an informal report on the AGM, in order to give an overview of proceedings and to publish the results from the elections for directors and voting for resolutions, as well as the winners of the TR Register Annual Awards. Allan Westbury, Acting Chairman opened the meeting with a welcome to the attendees and to record any apologies. 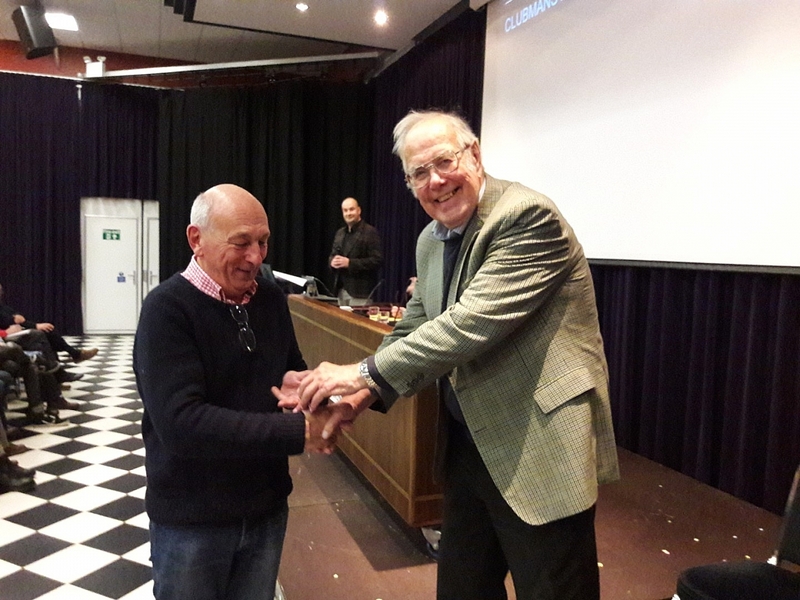 The voting procedure for the meeting was outlined and Acting Chairman Allan Westbury declared a poll on the contested director's positions and all resolutions. However, at this point five members from the meeting requested a poll on all positions, which was granted. The Finance Director, Malcolm Tatton then presented his report to the meeting. My first report as Finance Director is in respect of the year ended 28 February 2018, following my election to the board in November 2017. Although the overall position shows a small surplus for the year of £2,686 before tax, both income and expenditure were reduced from the previous year. 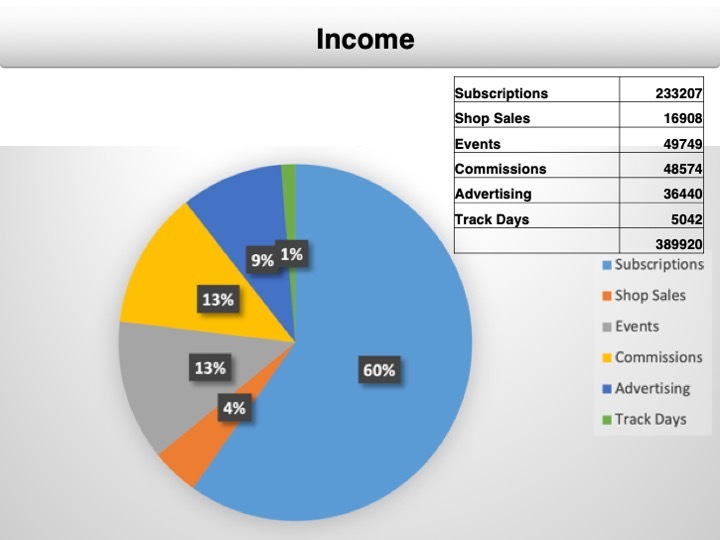 Whilst subscription income was down by £1,437, there were reductions in income from shop sales, track days and advertising. IWE income of £41,134 (py £45,390) and costs of £47,655 (py £50,630) are included in 'Events', and the overall deficit for the weekend was therefore £6,521 (py £5,240). Administration expenses are slightly down on the previous year once adjustment is made for the SDF transfer which was reflected in the 2017 accounts. There is an increase in Salaries and subcontract labour partly due to a full year of pension contributions under Automatic Enrolment. Computer costs show an increase which reflects a one-off charge to amend the club's database system in order to digitise and record the information held by the registrars. Phil Tucker, our previous Finance Director, arranged for Wellers to produce quarterly management accounts, and to prepare the formal year end accounts. They provide a valuable service to the club and their fees make up the Accountancy fees charge in the accounts. The club no longer pays Rates on the Didcot office due to a change in relief for small businesses and there were no bad debts in the year. TR Action cost in the year are reduced from last year as is Advertising Revenue, due to the timing and number of issues published during the year. 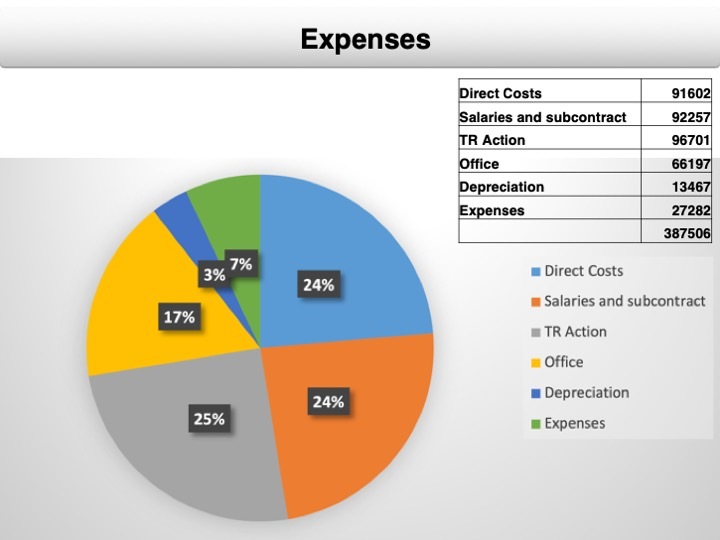 Directors' expenses have increased from last year by £2,783. Directors are paid a mileage rate of 40p per mile and the club pays for Bed and Breakfast accommodation when necessary. Buffet lunch is provided at Directors' meetings but the club does not (generally) pay for evening meals and drinks. 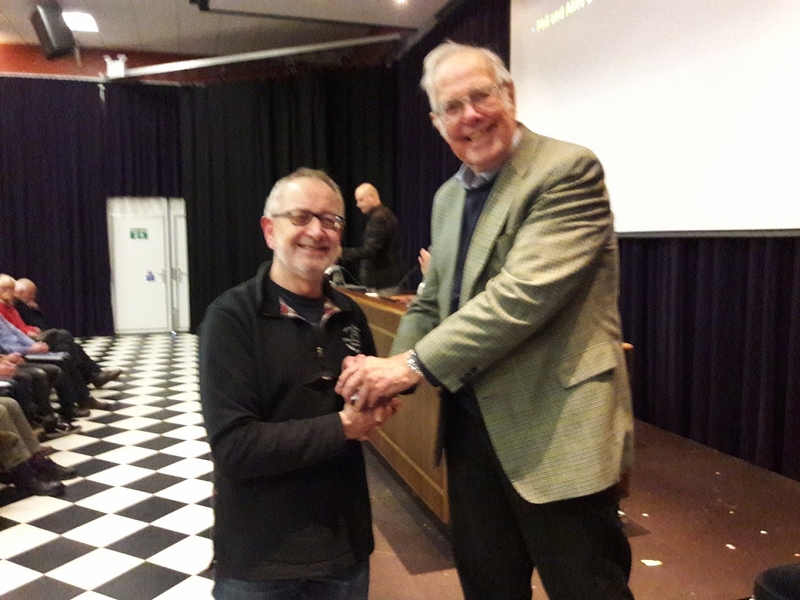 Overall the results reflect a satisfactory year, and my thanks go to Jo for her diligence in ensuring that the club's accounts system runs smoothly. Finance Director, Malcolm Tatton then answered various questions from the audience, an overview of which will be included in the meeting minutes. After a short Q&A, the accounts were proposed by the Financial Director, Malcolm Tatton and seconded by a member of the audience and along with the proposal to appoint Wellers Accountants of Oxford as the independent reviewer of accounts. Both items were adopted on a show of hands. Acting Chairman Allan Westbury then gave a report on achievements and milestones during the past twelve months and directed attendees to the AGM Booklet for additional reports from Dave Burgess, Acting Vice Chairman and East Director and Paul Tunnadine, West Director. My report covers the period from the 5th November 2017 AGM until the present day. The year began with the funeral of our friend and long-time member Merve Parkes. Merve passed away on the 31st October 2017 and his funeral was held on a cold & snowy December day at Stourbridge Crematorium. The chapel was packed with TR Register members a few of whom had travelled in their TR's as a mark of respect. Merve's dry sense of humour, common sense and friendship has been sorely missed. On a lighter note the Revington TR/ TR Register Hillclimb and Sprint Championship finished one of their most successful years ever with new members taking the number of entries over to 40 drivers. Martin Paine driving a TR6 was the overall Champion. Once again, the club had a stand at the Lancaster Insurance Classic Motor Show and at the prestigious Classic and Sports Car awards in the evening was not only runner up in the category for Best Club Magazine, but won the award for 'Best Club Website & use of Social Media'. This is a real tribute to all the hard work & dedication that Wayne, with his developers Bate Brand, put into the website over the year. Congratulations were also due to Dave Burgess whose TR6 won the Classic Car Weekly 'Car of the Show' award. December is a month dedicated to Group Christmas parties and events but special mention must go the Youth Group Leader Kat Forey for organising a Christmas Weekend complete with a barbecued whole turkey at a Derbyshire Youth Hostel the group took over for the weekend. January saw the usual participants tackle the Exeter Trial while on the IT side the website introduced a new feature that allowed Group Leaders to upload their Social Scene reports and have them automatically emailed to all group members. February saw the club having a debut display at the London Classic Car Show. This show now in its fourth year is strictly by invitation only but has rapidly grown to having over 40,000 visitors. The Register was selected as the sole representative of the classic Triumph car clubs and the Show appeared to bring a whole new audience to our cars. Pride of place on our stand went to Glen Hewitt's Jabbeke car but there was also a very rare Triumph Italia, TR7V8 and a modified TR4A on display. We also attended the International MG & Triumph Car Show at Stoneleigh Park. March saw yet another visit to the NEC in Birmingham for the Practical Classics Restoration Show. Star of our stand was the works TR4 5VC still very much under restoration. 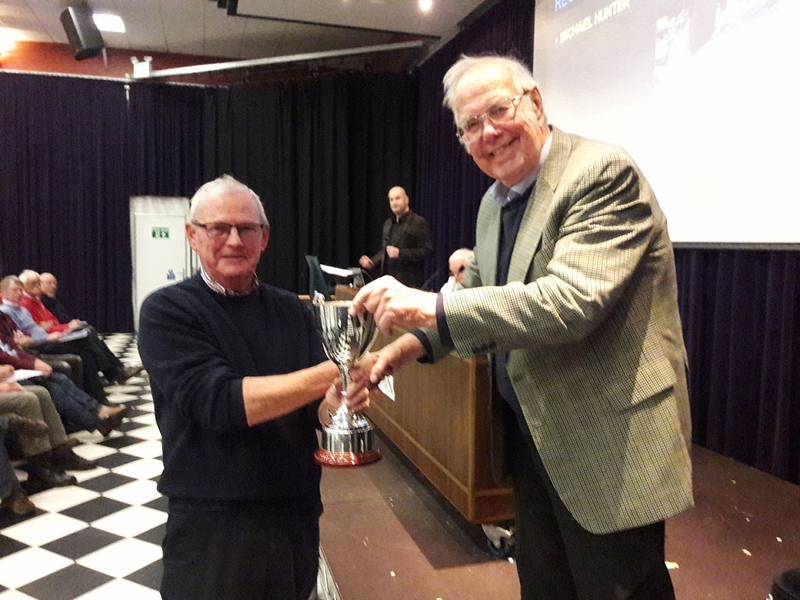 It was at this event that the club scooped 'National Car Club of the Year 2018', a tremendous recognition of the hard work that our members and all of our volunteers put into making the TR Register the UK's top car club. 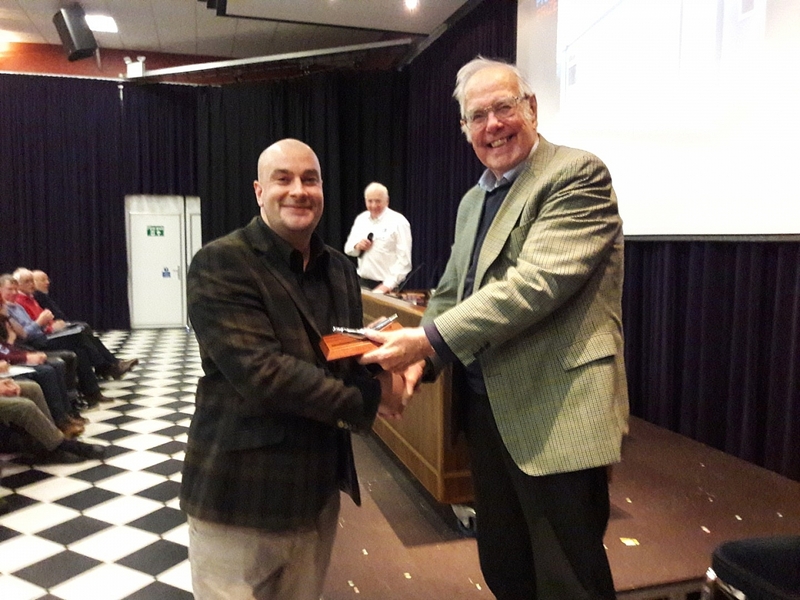 The award was received on behalf of all of you who make things happen in the club at every level, from GLs to the invaluable and dedicated volunteers who can be seen pulling on hi-viz vests on at 6am on a Sunday morning and making local events happen up and down the country. This is everyone's award, it's your award – well done! March also saw a very successful Group Leader's Meeting at Gaydon where communication both to and from the board was mentioned as one of the key areas needing improvement. This has directly led to the proposed new Management Team with 10 local area directors each representing around 5 groups rather than up to 20 as is currently the case. April saw the start of the competition season with events at both Croft & Gurston Down and Kev Bryant organising a TR track day at Castle Coombe. The Spring Ball was once again held with members & partners attending a fun filled festive occasion at the Casa Hotel in Chesterfield. A number of members took part in the FBHVC Drive it day with runs to a number of venues throughout the country. May seemed to be a month for legislation with exemption of cars over 40 years old from the annual MOT test providing they were declared as Vehicles of Historic Interest. Mike Jennings should be singled out for praise here because as a result of taking up the role as VHI contact with the DVLA, he has ensured the club as the knowledge and policies in place to deal with this new requirement. May also saw the introduction of GDPR, a piece of legislation designed to protect individual's personal data. The club was able to give guidance on both these issues but for GDPR in particular it is still not clear exactly clear how strict the club's central or Group policies need to be. This is definitely an area of work still in progress. Fortunately, in June we continued to bathe in May's beautiful summer sunshine which blessed the open day we held at Prescott organised jointly with the Jaguar owners Club. Chiltern Group's Tour of Scotland (a local group that seems to be going from strength to strength these days) and the equally active Coventry Group's trip to Ireland were just two of the many events held during the month and TR Tours organised a very successful trip for 26 cars to the Spanish pyrenes. We also announced a new lubricants partner in Duckhams Oils who relaunched the famous brand back into the market last year. Duckhams have brought a not insignificant amount of funding to the club through their advertising in TR Action magazine and sponsorship of the Duckhams arena at the Lincoln. The free postage offer we negotiated with them has been added to an ever-growing suite of membership benefits that we can all take advantage of. Sadly, June also saw the end of Alec Pringle's fight with cancer. Much has been written of Alec's tremendous contribution to the club with Paul Hogan writing a particularly poignant tribute in TR Action. A firm believer in free speech and an avid user of the Forum, Alec ruffled many a feather but always had the good of the club at heart. The end of June/ beginning of July saw the International Weekend return to Lincoln Showground in a joint venture with a local car show – Pistons in the Park. The show was thoroughly enjoyed by all who attended but sadly, not enough people came through the gates for it to be a financial success. I think we have to recognise that we no longer need or can afford the large showgrounds like Malvern or Lincoln. The Group Leaders meeting also highlighted a need to bring in more clubs to add interest and also to find more for people to do in the local area. As a result of this we have just announced a new 'Triumph Weekend' for 2019 as a joint event with our friends in the TSSC, at a new venue in the middle of August. We are also talking to other clubs about joining us. July also saw us attend the Silverstone Classic weekend, but again in lower numbers than in previous years. A few of us also visited the Shelsley Walsh Nostalgia weekend to look at the event as a suitable venue for a future International Weekend. TSSC had decided to use the weekend for their Triumfest and although the weather was diabolical there were other more basic failings with the site and we unfortunately had to write it off as a potential venue. August was either quiet or busy depending on how you looked at it. There were no National events but this is where the local groups took over with numerous events, trips and visits to keep their members both busy & happy. On the competition front a number of TRs took part in the Oulton Park Gold Cup over the Bank holiday weekend in absolutely dreadful conditions with Groups from North Wales and Red Rose braving the weather to watch the action. September started with a bang with the TR Register Scottish Weekend at the Bo'ness Revival Hillclimb and Revival Classic. 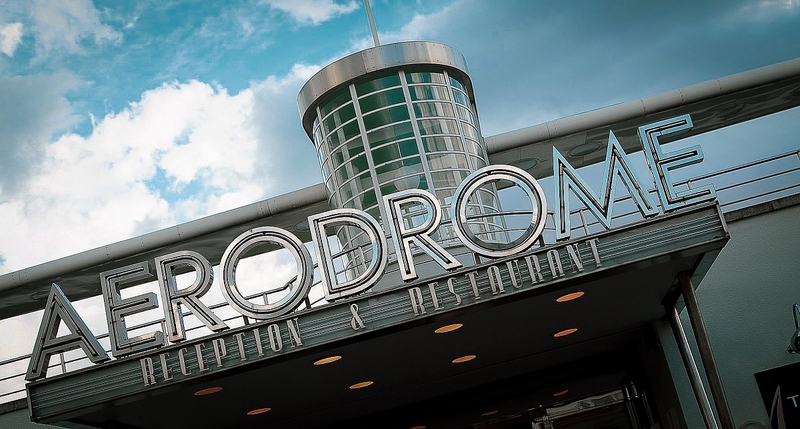 This is the premier event north of the border with over 100 triumphs taking part in an event that attracted over 500 classic cars and 30 clubs. 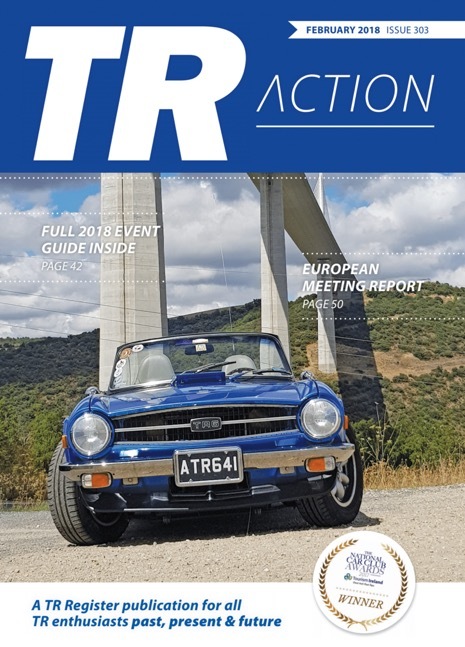 The TR Register sponsored the arena on the Sunday with our own Wayne Scott commentating and hosting the evening dinner where he brought together representatives of all the attending car clubs for a fun evening of bridge building and networking between marques. This gave us huge exposure to the Scottish classic car scene. The event also included both road runs and a regularity rally on the Saturday which really added to the interest of the weekend and out thanks go to Cliff McKinnon to his dedication to ensuring the TR Register is at the forefront of this nationally important event. A number of members visited the Goodwood Revival which continues to be one of the top motoring events in the UK motoring calendar and one that we are committed to providing coverage for in TR Action thanks to the unique relationship our Editor has built up with the events media centre. Autumn also saw a significant upgrade to the TR Register Forum software as well, rolled out relatively smoothly and now providing an updated and secure footing for the Forum into the near future. Our friends in the TR Register Germany hosted this year's European Weekend in Pappenburg with around 20 cars from the UK attending. Once again, we enjoyed a busy weekend of fun, driving, shipyard tours and way too much food and drink! So, we approach the end of another packed club year. Plans are already afoot for a number of events for next year including the all-important 50th anniversary of the TR6. TR Tours continue to go from strength to strength with trips planned to both Belgium and Scotland and I have already mentioned the new Triumph Weekend. The Scottish Bo'ness event continues to grow and I know a number of our Groups are already organising their own special events. Our aim must be to provide the framework for all of our Groups and members to have fun and enjoy a range of events and facilities unequalled by any other Triumph club. Every club will have things that they do particularly well, we have to strive to be as good or better than them all. The club is on a sound financial footing and while we have a number of challenges facing us with regard to changing demographics, soaring car prices and legislation at a National level; how to best use TS2 and Didcot at our club level, I am confident that with the support and dedication of our members we will conquer them all. There were no proposals received for Honorary Memberships at this year's meeting and so the agenda moved straight to the election of directors. As a poll had been called on all positions, ballot boxes were assembled and all proxy slips were placed into the relevant boxes, numbered with each agenda item. As soon as voting had been completed, the counters began their work counting all of the votes cast on the day and adding them to all of the votes assigned to the chairman. All votes cast either via a proxy or from within the room were counted. Allan Westbury 60% in favour. (431 votes to Roger Hogarth's 289). Allan Westbury named as Chairman. Dave Solomon 355 votes to Howard Pryor's 279 votes. Dave Solomon named as East Director. During the count, Malcolm Tatton Finance Director outlined the proposal to fix subscription rates at current levels for another 12 months which was carried by show of hands. Thereafter, the floor was opened up for a Q&A discussion between members and directors. Voting boxes for resolutions were collected and prepared for counting whilst the meeting broke for lunch. After lunch, there was a further open discussion regarding liability insurances for local group's events before the 2018 Annual Awards commenced. The winners of the awards can be seen below. Following the awards, there was a short amount of time at the end of the day for further questions before the proxy officer declared that the results of the resolutions would be published after the meeting. All votes were counted, double checked and verified by the counting team and proxy officer. Special resolutions (requiring 75% majority). 92% in favour – motion therefore carried. 80% in favour – motion therefore carried. 87% in favour – motion therefore carried. 96% in favour – motion therefore carried. Ordinary Resolutions (requiring a simple majority). 76% in favour – motion carried. 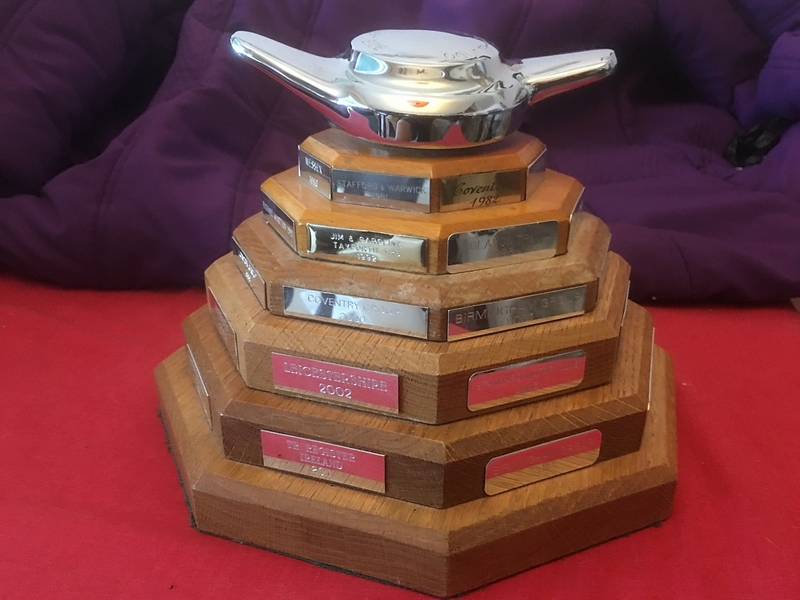 Clubmans Awards are presented each year to those individuals who have volunteered or worked on a specific initiative throughout the last 12 months. Gold Awards are in recognition of those members of our club that, over many years have dedicated themselves either to serving the club as a whole or heading up specific projects. 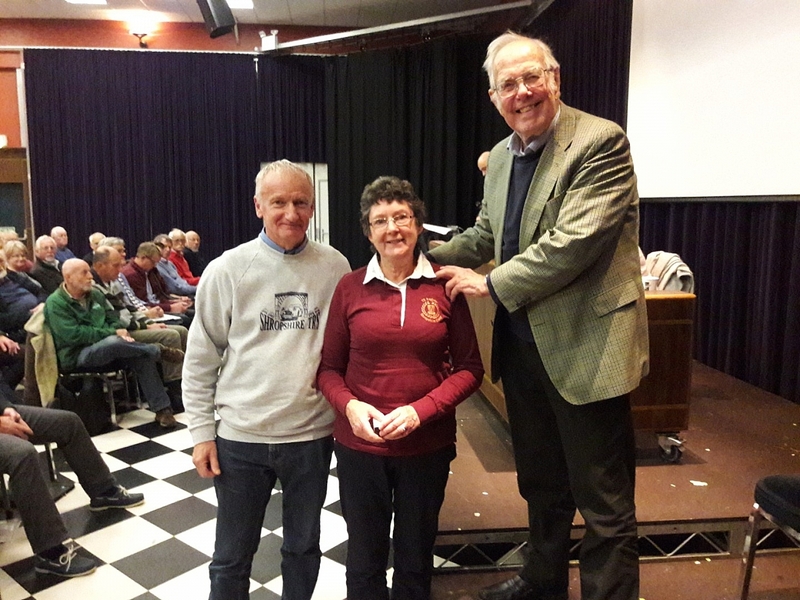 The Gold Award recipients are often the long-standing, unsung heroes of our club who have given vast amounts of their time and energy freely to serve the club and make things happen. Phil and Alice Desborough. (Shropshire Group). Keith Brown (Cotswold Vale Group). Cliff McKinnon (TR Register Scottish Weekend). Wayne Scott – for getting locked in the shower before the arena show at the Lincoln International Weekend 2018. The Wheelspinner Award is presented to the local area group who has been most active in their area. Local groups should demonstrate a dedication to a particular project, improvements made to club activities in their area, benefitting the local community or charities or special initiatives to attract new members. The Wheelspinner Award Winner: Kennet Valley. This award goes to a non-professional contributor to TR Action Magazine who has, in the opinion of the editorial team sent in to the magazine one of the most iconic images in the last 12 months. It's not very often that the following criteria all come together within one photo. Winner: Dave Burgess, TR6 under the Milau Bridge. 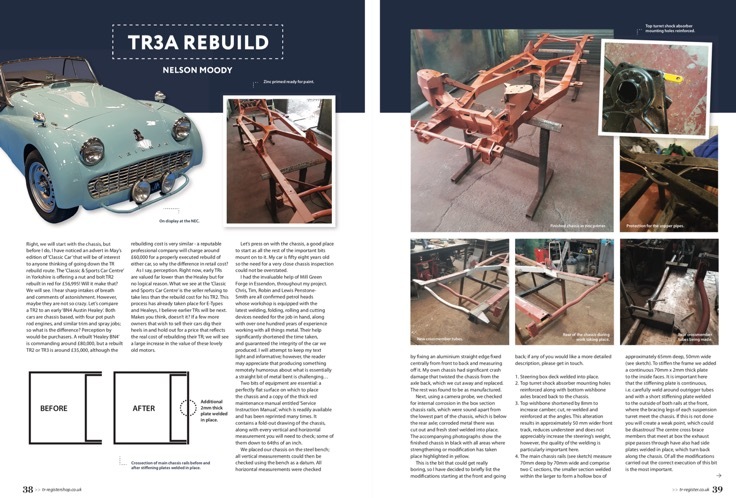 Winner: TR3A rebuild diary, by Nelson Moody. Our web awards go to recognise the tremendous effort our members go to in order to populate the TR Register with interesting content. Whether it be a local group who have been dedicated to the sharing of news, reports and information from their area or an individual contributor – this award recognizes that contribution. This year, our award goes to someone who documented his TR5 rebuild blow by blow, initially on the forum but then moving it over to the Owners Blogs area of the TR Register website. Winner: The TR5 patience rebuild blog by Bill Bourne! Eddie Holden was a true TR man. A very special member of this club to anyone who knew him or has sought his help in the past. He is best remembered for his ownership of an ex – Ken Richardson works rally TR3 which he drove in the manner that Richardson had intended pretty much all the time. He was hugely generous in giving his time to help other TR members and was a font of knowledge on all things TR. He in effect, embodied the true spirit of the TR Register, of friendship, of help and support and these traits are common too in this year's winner. This year we have decided to give the award posthumously. Merve Parkes joined the TR Register in 1978, mainly to source spares. From 1992 he quickly became involved with events at Birmingham Group and was soon “volunteered" in the role of group treasurer and organiser of their Annual Concours. His scoreboard always on a scrap piece of paper and done in pencil, in the style of a typical accountant! He firmly believed that the local groups were the grass roots of the club, where many lasting friendships are made. He was someone that had countless of those lasting friendships. 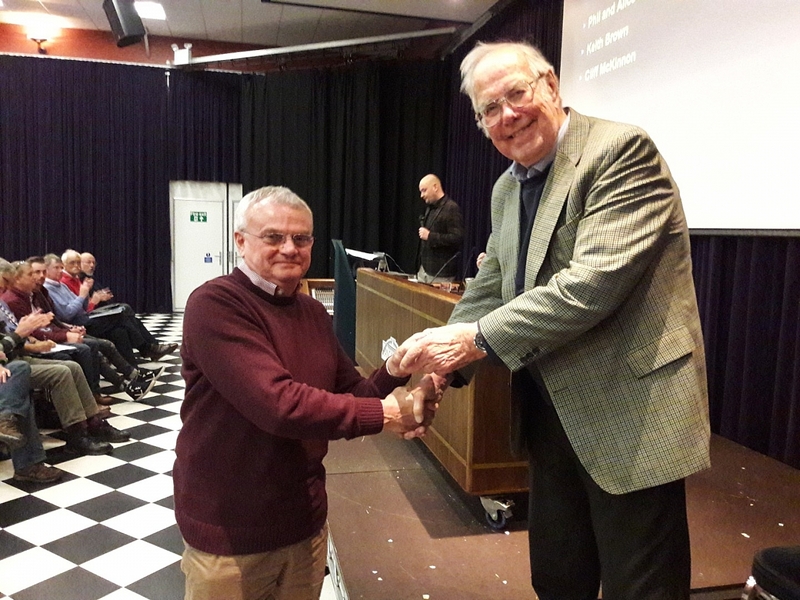 He was known for pitching in and helping at events and was always rot be seen helping Barry Goswell from Birmingham group, with the amazing Malvern Autumn classic shows that were once a key part of the club calendar. 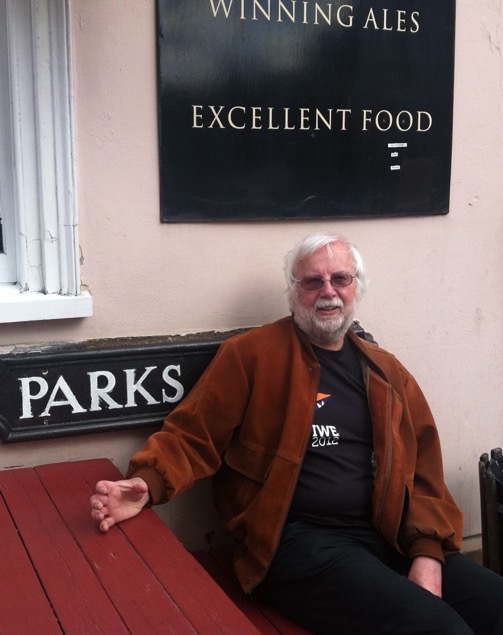 He would always welcome you with a smile, a portion of dry wit “well we aren't here for a good time" being a favourite, and usually a pint in hand. In 1997 he joined the national committee as Spares Development Fund Treasurer and spearheaded a financial agreement with Moss to finance half the tooling costs for manufacture of new cylinder heads. An agreement which is still repaying rich dividends today. In 2007, he was appointed Treasurer and Company Secretary by the TR Register Committee and on retirement in 2016 was awarded Honorary Vice President status. Merve was a dedicated man who you could always rely on whenever help was needed, whether with a project or some mundane chore he was always so willing to help. He was a shy man, but always provided enthusiasm regarding the TR Register which will never be the same without him. Merv has left us with so many wonderful memories. And I am sure we all have our own stories to tell. The Eddie Holden Award Winner: Merve Parkes.